Learn about the contents, goodies and secrets in store in the Pokémon Sun and Moon demo! The Pokémon Sun and Moon Special Demo Version is out right now. If you’re curious as to what’s inside, or if for some reason you’re opting not to download it, there’s a lot of ground to cover just in this demo alone. Read on to find out more about what’s inside — but of course, a word of warning; if you haven’t played the demo, spoilers follow! If you’re worried about spoilers to the actual game, worry not! 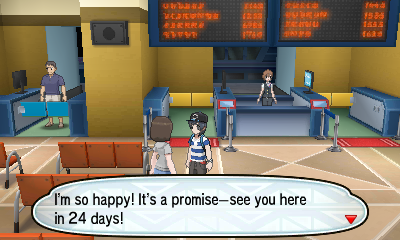 The scenario that you play in the demo is, according to Nintendo, different to that of the final game, introducing a variation on how the character arrives in Alola. The player’s name is Sun, by the way, and can’t be changed. While waiting for the paperwork covering your move to Alola to be completed, Hau pops in and spots a new face — you. Like the trailers suggest, he makes fast friends with you in the demo. Hau isn’t the only one whose attention is grabbed by a new face in town. Team Skull believe you might have a new Pokémon, and so a battle begins! We’ve previously covered some of the changes to the battle system from E3 compared to that of the sixth-generation games. These improvements to the engine make it far easier for both new and existing players to get into battle. It does so by making certain elements far more accessible. It also achieves this by revealing more information that the battle engine had previously kept hidden. The revamped interface allows quick access to move and ability info for your Pokémon. You can also see any status changes to either you or your opponent’s Pokémon (for example, lowered Attack or raised Speed), from up to six stages low or high. Both these features should ostensibly make it far easier for users to keep track of what’s happening. Once you’ve battled against a particular Pokémon, you’ll get to see whether your Pokémon’s moves will be effective against that Pokémon when you battle it again. With nearly 800 Pokémon and many, many typings, this is a godsend. Adding to the immersion, both you and all Trainers you’re battling have a 3D model — the sixth-generation games only did this for a subset of Trainers. Now that every Trainer has a detailed model, they will now appear next to their Pokémon, issuing commands or lamenting their wins or losses. 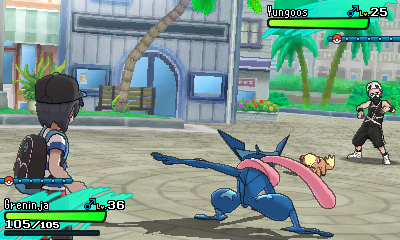 From the look of it, a variety of older moves have new, cooler animations. Let’s touch on Z-Moves a little later, too. All this really makes your first battle in the demo, against Team Skull, come alive. Let’s get this out of the way — the demo is absolutely stunning. Each and every area the player can navigate is rendered in full 3D, every character, a more accurately-proportioned 3D model, and the environment, designed to scale with the player’s appearance. 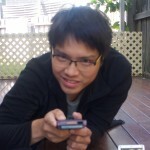 The traditional movement grid (where you move between one square and another, in four directions), a mainstay of Pokémon games, has been completely eschewed in favor of a 3D environment the player can navigate in any direction in. The scale is what helps give Hau’oli City a massive sense of scale. This isn’t your largely white-spaced city like, say, Mossdeep City in the Omega Ruby and Alpha Sapphire demo. This feels like an actual town you could live in. The Hawaiian-themed music also helps set Alola’s scene. The music from the demo is not like music from previous games — you can tell that the composers have taken a different direction, not just with themed music, but with a wider range of instruments, too. Hau’oli City’s, along with the new Item Get sound, are played with a ukulele, and this adds to the overall Alola theme. On the topic of sound, terrain-based sound effects are back, so you’ll hear yourself stepping on the roads or in the grass. As you approach tall grass, you might even hear the muffled cries of the wild Pokémon hiding within. How’s that for ambience? On that note, check out that tall grass inside the town — not entirely unusual if you haven’t ever mowed a lawn. Once you’ve completed the main part of the demo, you’ll be able to open up the gates in town and battle the wild Pokémon hiding in the grass. That’s right — wild Pokémon in tall grass in the middle of a city. That’s something new. Also check out those character expressions! 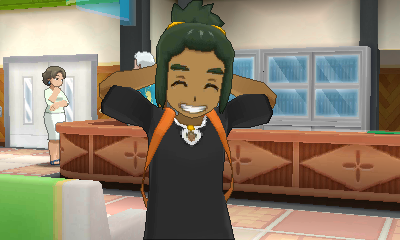 In the cutscenes we see from the demo, characters like Hau bounce around with excitement. He even has his own cheesy pose where he smiles and tucks his hands behind his head! 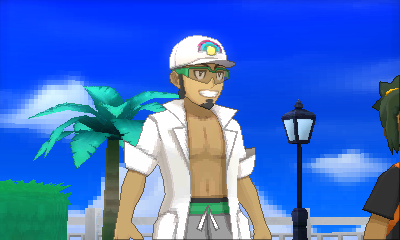 Kukui also has his own set of expressions, including a characteristically wide grin. Team Skull has a ridiculously over-the-top rap-style movement. Plumeria has a… unique way of walking, and a slasher smile when she’s ready to pummel you. When compared to the previous games, changes like the more realistic areas, thematic music, as well as well-placed character expressions, make Sun and Moon feel a whole lot more realistic and immersive. You have to wonder what the full games will look like! The Gym Leader challenge is not a thing in Alola. Upon healing your Pokémon at the Pokémon Center, you meet Kukui, who introduces you to Trials. 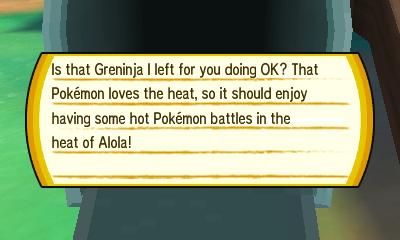 Apparently, the Island Trials are, according to a citizen in Hau’oli, a challenge that children aged 11 or up would take on. The Island Challenge is, as we’ve mentioned, the rites of passage that a Trainer in Alola would go through to prove themselves. It’s a different rite than what previous games have had, to be sure, but it really helps distinguish Alola from other regions. The idea behind Island Trials is that you work your way through certain challenges. These challenges don’t necessarily involve battling, either. 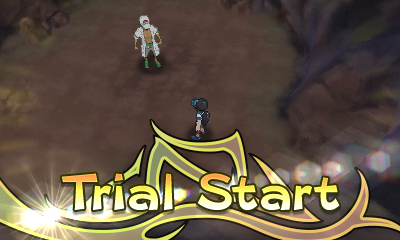 In fact, the first trial seemingly doesn’t involve battles at all. 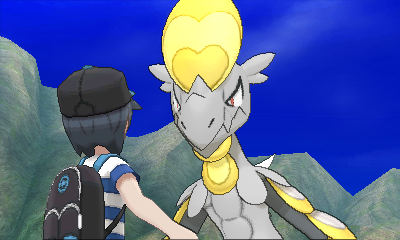 Kukui has you taking pictures of Jangmo-o and Hakamo-o on Ten Carat Hill, a location apparently close to Hau’oli City. After navigating the grass and reaching the cave area, you’re instructed to take pictures using the Poké Finder — which seems to be the Rotom Pokédex? Once you snap the Pokémon though, the Pokémon becomes startled and battles you — and there’s no running away. To help you out, if your trusty Ash-Greninja can’t, is Kukui’s Pikachu. At the end of the Trial is a Hakamo-o that’s stronger than the other Pokémon you’ve snapped. Startle this one and it reveals itself as a Totem Pokémon. To be sure, it’s very different from a Gym challenge, and the nature of its design implies that there’ll be a decent amount of Trials to keep you going. The challenge is certainly a nice taste of what you’ll get in the final game. Z-Moves aren’t really featured in the demo until right near the end of the demo’s main gameplay. Once you complete the Trial, you’ll receive a Z-Ring as well as an Electrium Z, which is capable of changing Pikachu’s Thunderbolt into the devastating Gigavolt Havoc. Kukui explains that a Z-Move can only be used once in battle, so use wisely! 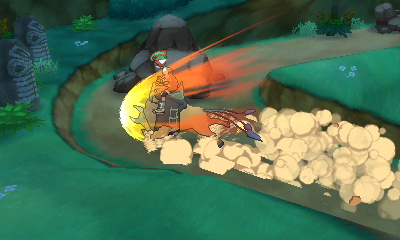 Unfortunately, after the battle in which you use Pikachu and its Z-Move, Kukui’s Pikachu returns to him. No more Z-Move abuse in this demo! On a side note: after all the “Mega Stone” trust-and-friendship lore that the sixth-generation games carried, Game Freak appear to have settled with saying that Z-Power relies on “willpower” and “physical power” of the Trainer. 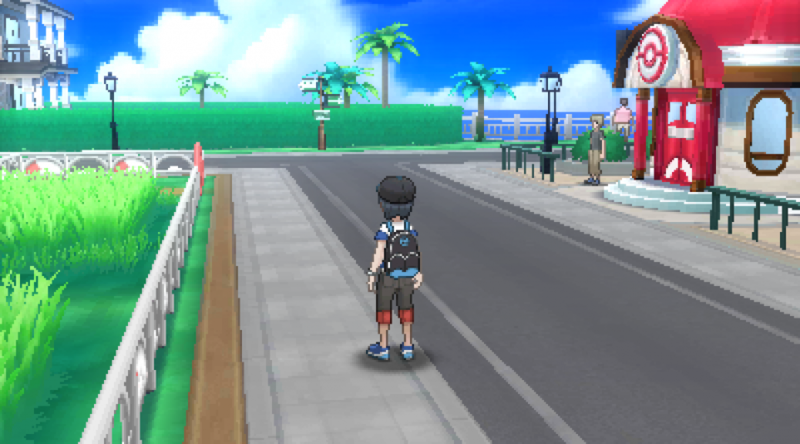 Once you’ve completed the Island Trial segment of the demo, you’ll be given a Ride Pager, which you can use to call upon a Ride Pokémon (you will be assigned a Tauros for the demo). 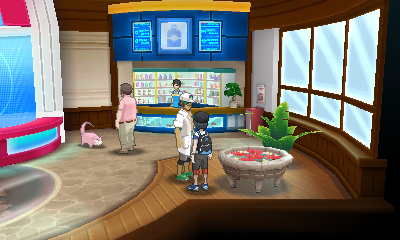 Kukui will then return to the Pokémon Center and tell you about other things you can do in your demo run. You can also talk to him when you have things to transfer to the full game, including your Greninja as well as specific items that you accumulate throughout the demo. These items cannot be used in the demo. 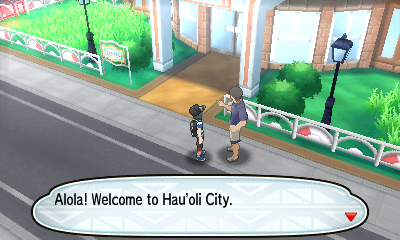 There are other places you’ll see in Hau’oli City, such as a police station, the Tourist Bureau, and Hau’oli’s City Hall. There’s a range of things you can still do in the demo after you’ve completed the Island Trial segment. Doing so will earn you specific items that you can transfer from the demo to the final game. Now that you have a Tauros, an NPC near the end of the Pokémon Center road (blocked off by none other than our wonderful Slowpoke) will take you to Mahalo Trail, a path littered with rocks. Navigate and smash the rocks on this road to reach the “mysterious old man” who will reward you with Stardust. Return to Ten Carat Hill to battle the Trainers there — a Youngster (who could be battled during the Trial segment), a Lass and a Rising Star (who can only be reached after smashing the rocks in the way). Defeating three Trainers in this area will allow you to battle Ace Trainer Sheri, who stands near the start of the trail. Beat her to receive a Star Piece. Complete the catching challenge at Ten Carat Hill — located on the right path from the entrance — to earn a Nugget. This involves catching as many Pokémon as possible with a limited set of Poké Balls. To give you more to do with the demo before the game’s release, there’s some events that only occur after a certain amount of time since you’ve started the game. Explore town to learn about these events from certain NPCs. Completing these events earn you items that you can transfer into the full version of the game. 1st day: Man outside Pokémon Centre. If you come see me tomorrow, I’ll give you something good. Not today, not the day after tomorrow. It’s gotta be tomorrow – got it? 5th day: Woman bottom left of town. I’m meeting up with a guy who helped me out when I sprained my ankle the other day. I’m meeting him in – how many days was it? Oh yeah, 5! 12th day: Man in bottom left of Town Hall. Guess how many days until my sweet li’l Pikachu’s birthday? Just 12! I wonder if someone will help me celebrate. 24th day: Woman inside the Ferry Terminal. I have to sail away on a ship in 24 days. I’m afraid of boats, though, so I’m a bit nervous. I hope you’ll come see me off on my journey. A word of warning: changing the time within your 3DS’s System Settings app will simply cause the events to delay themselves by up to 24 hours. So what do you think of the demo? Lots to do? Did you find it fun? Or did you find it dull?  Leave your impressions, as well as what you think of this article, in the comments!